Eighteen weeks into her pregnancy, Iowa City, Iowa resident Tiffany Roiseland received news that changed her life forever. Doctors informed her that her baby had a cleft nose and cleft palate, a two-cord vessel instead of a three-cord vessel in the umbilical cord and a brain that was smaller than it should be. 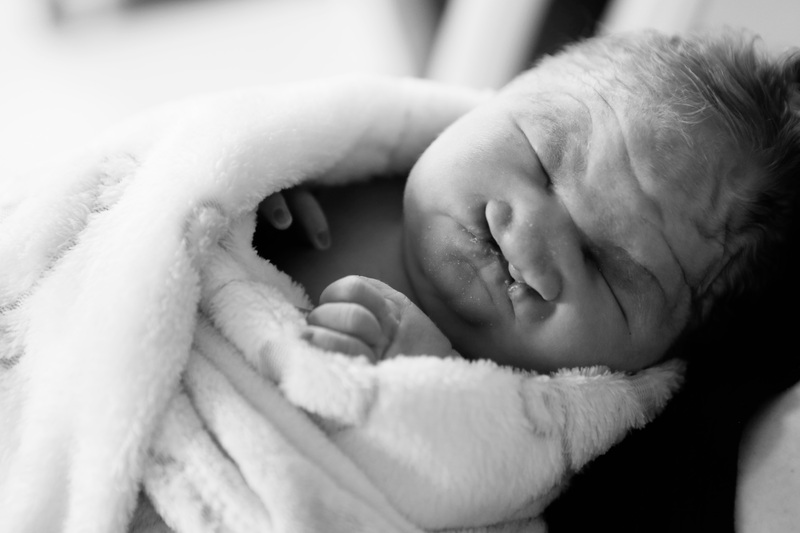 Maren Elizabeth Roiseland had Trisomy 13, a rare abnormality that is not compatible with life. After learning the news of her daughter’s condition, the focus of the pregnancy shifted from dreaming about little pink clothes to praying for just two hours with her daughter. Maren stays calm for a photo. 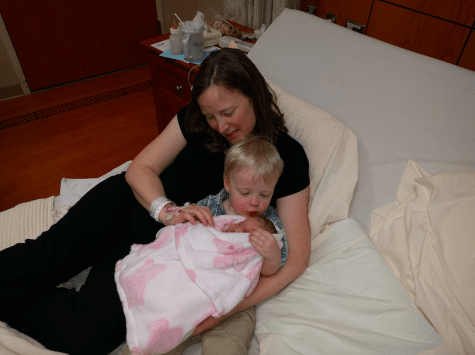 Following nine months of enjoying ultrasounds and kicks, and praying for a few hours with her daughter, Roiseland was able to spend three and a half days with Maren. Though her hopes of having two to three weeks with her daughter were not fulfilled, the happiness and memories that Maren provided will never be forgotten. Tiffany Rosieland watches her son, James, meet Maren. 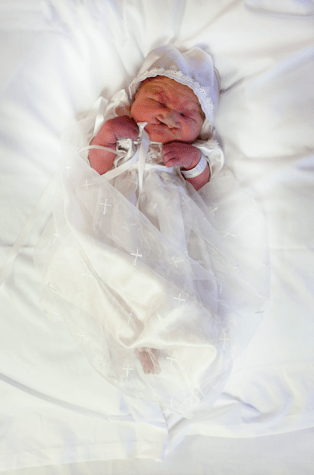 Other memories of Maren are preserved by suggestions made by the University of Iowa Hospital staff. But Frascht had a larger role in supporting the family during Maren’s life than providing the idea of a stuffed animal. “Palliative care is providing support to a child with a serious illness and their family. I met with them during many of her OB appointments to discuss their wishes for labor and delivery, to discuss making mementos of Maren’s life, to provide support on such a difficult journey and to learn what would make Maren’s life most meaningful for their family. 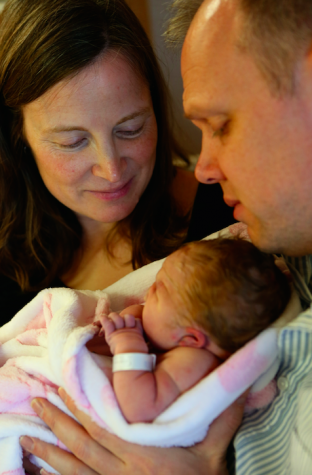 After her birth, we spent time with Tiffany and Kevin to ensure they felt Maren was without pain or discomfort, and to make medication available in case they did sense she had pain,” Frascht said. 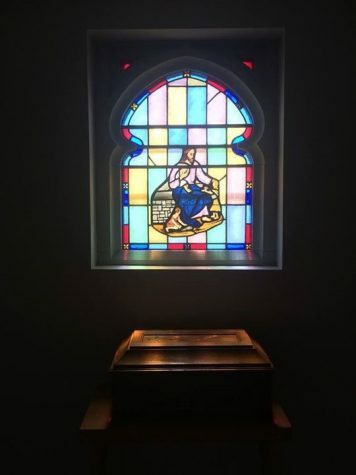 Maren’s casket is placed beneath the stained glass window. After Maren’s passing, Roiseland began focusing on what to do next, and how to honor her daughter. 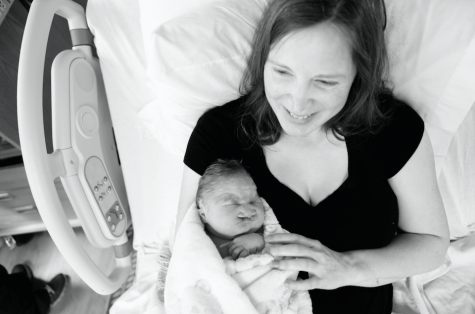 “I miscarried our first child, and I remember laying in bed thinking, ‘There could be nothing worse than this; this is the worst pain I have ever felt.’ And so when Maren died, after carrying her full term and having her for three and a half days, I was like, ‘Nope this is worse. I was wrong. This is way worse.’ And it feels in the moment like nothing could be worse,” Roiseland said. “But then you think that actually there are things that could be a lot worse, like the mother in Syria who risks the lives of her children to get them out of a war-torn country to safety, or the mother in Africa who watches her child die a little more every day because he is starving. 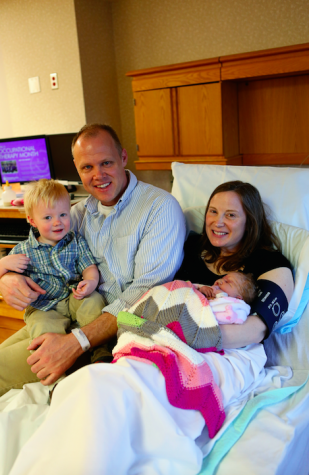 The Rosieland family poses happily with the newest addition to their family, Maren. Even before coming up with the idea of supporting other babies through Lutheran World Relief, Roiseland was already focusing on how Maren could impact the lives of others from the moment she was born. “There is nothing you can do when somebody dies. You can’t bring that person back, and people want to do something, whether it’s bringing food or doing something to help. We didn’t want people to be spending money on flowers because flowers die, so we asked that the money be directed to A Better Life for Kids, an organization in Chicago,” Roiseland said. This organization provides help in West Africa, specifically in the country of Ghana. Roiseland, at one point, volunteered at the orphanage funded by this organization. Tiffany and her husband look lovingly at their daughter. Despite her short time on earth, Maren’s important life impacted the lives of thousands of others in the world. Frascht felt fortunate to witness that love. Jenifer Secrist, a close friend of Roiseland, holds tight to the fact that Maren’s life was important to the many people around her. The many people Maren touched, those close to Roiseland and not, all believe that Maren was a miracle. Tiffany poses happily with her daughter, Maren. Click here to read more about Maren and Tiffany Rosieland’s journey on the blog which was created by Rosieland during her pregnancy. Photos provided by Tiffany Rosieland.